Recently I was asked to make some work for an art show at The Emily Morgan Hotel in San Antonio. It is the official hotel of the Alamo. The show will be up for the big celebration for the 175th Anniversary of the Alamo this spring! So exciting! This is my first painting for the show. 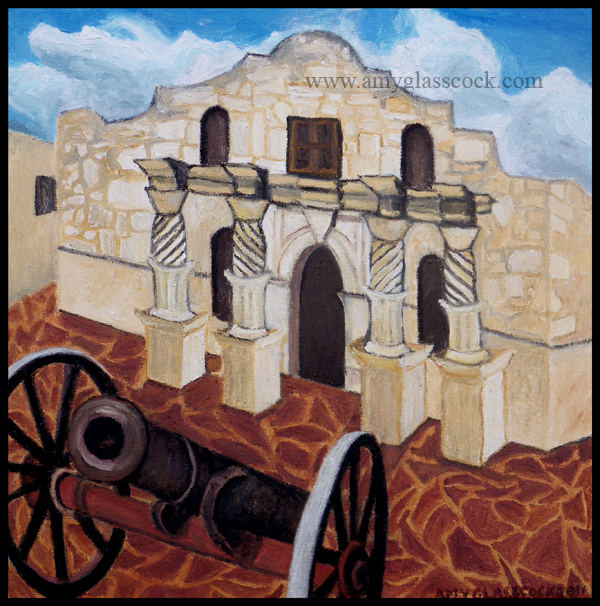 It is based on the famous quote that was the motto of the Texian rebels during the war- "Come and Take It". This quote was said at the Battle of Gonzalez, but I thought that it captures the bravery of the men that were slaughtered by Santa Anna at the Alamo. Their deaths served as inspiration to Sam Houston and his men as they won Texians their freedom from Mexico and made Texas a country.